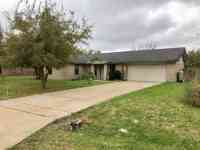 Tile floor throughout living area, all tree bedrooms carpeted, nice open closets. Updated kitchen, glass top electric stove, dishwasher. Large backyard with a small covered patio. Lawn Service Provided. Townhouse style condominium located in the Gardens Lakeside Condominiums, Rockport Country Club. Living room has a woodburning fireplace. This townhouse offers great views of the fairway and lake! This one bedroom, one bath unit has had a complete makeover. New Paint! window A/C unit. There is an onsite laundry facility. Water, sewer, and trash are paid for you! 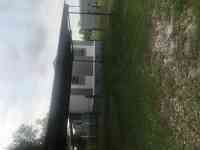 LEASED 2 bedrooms, 2 baths in Little Bay Shores, close to shopping and schools. New kitchen with GenAire style gas cook top, gas wall oven, dishwasher and refrigerator. New carpet and vinyl throughout. Washer and dryer (gas & electric) connections. Two bedrooms, two baths on a large corner lot. Yard is chain link fenced. Floors are ceramic tile. Electric stove and refrigerator are included. Large master bedroom with seperate bath. Seperate utility room and a one car attached car port. For Rent - Rockport - 2 bedroom, 1 bath, Charming, Restored Home in "Old Rockport"
LEASED Charming, restored, home nestled in "Old Rockport", just blocks from the Rockport Harbor and beach recreation areas, local restaurants, and shopping. Come and enjoy old style Rockport! 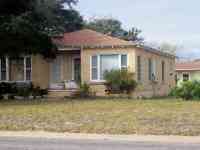 For Rent - Rockport - Charming "Texas Chic" House 2 Br. 1 Ba. 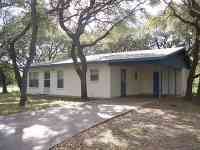 LEASED Charming "Texas Chic" House,remodeled two bedrooms, one bath home in Rockport. Centrally heat and air. Appliances include electric stove, refrigerator and microwave oven. Close to schools and shopping. Pole barn for your car and boat. LEASED Nicely updated two bedrooms, two & one half baths on the fairway in Rockport Country Club. Bedrooms & two bath are on the upper level & master bath remodeled while living, dining, kitchen & half bath are on the first level. 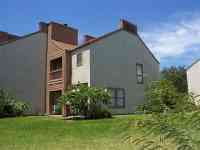 Townhouse style condominium located in the Gardens Lakeside Condominiums, Rockport Country Club. Living room has a wood-burning fireplace. This townhouse offers great views of the fairway and lake! Hidden Oaks condominium located in the Rockport Country Club. This upstairs flat has a great view from your screened patio. Water, wastewater,garbage service, and basic cable TV are included in the monthly rent. LEASED Hidden Oaks Condominiums in the Rockport Country Club. Downstairs flat on the golf course. Unit has central heat & air, dishwasher, microwave, patio, washer & dryer, and pool access.